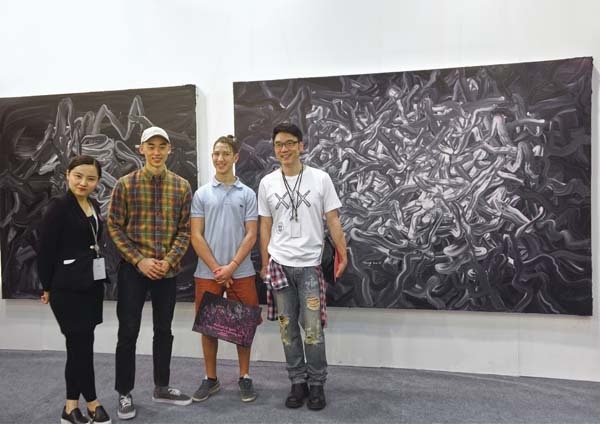 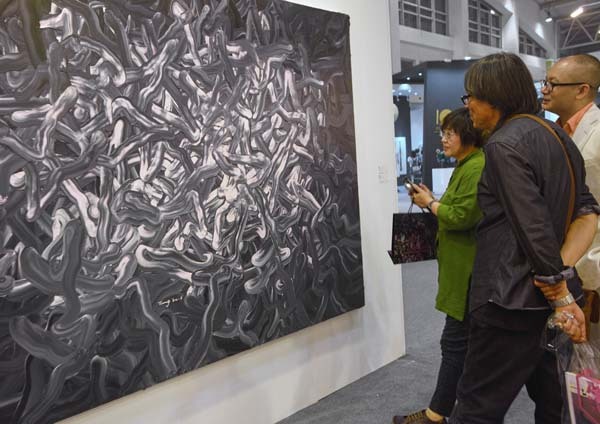 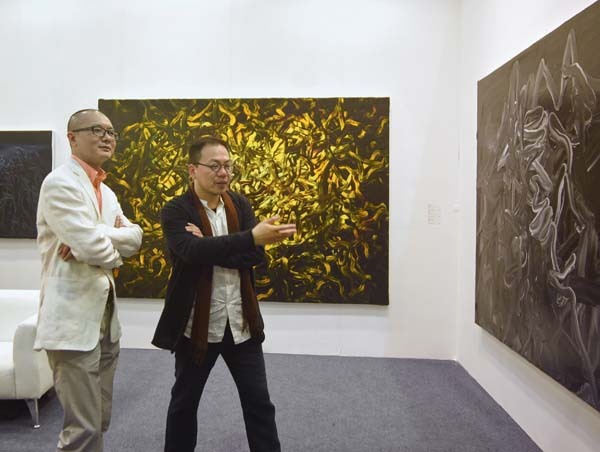 As the most outstanding exhibition in Chinese exposition,”Art Beijing”fell its curtain on May 3 in National Agricultural Exhibition Hall,where there are large crowds of people,a star-studded cast and a warm atmosphere. 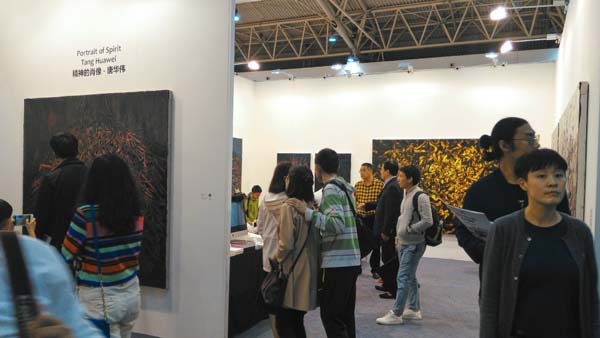 During the exhibition,LYYF Visual Art Center exhibited 14 artworks of the artist Tang Huawei, of which his masterpiece Midsummer Night (260 x540cm) is one of his largest artworks, standing in the lateral of the exhibition wall.This piece of work shocked the scene audience, so that a lot of people take photographs in front of the artwork.These two new artworks in 2016 Light and Space, with elegant color, profound artistic conception, superb image control and the unique visual image, attracted professional collectors, critics and artists’ attention and got much appreciation, so that they are made reservations on the first day of the exhibition.In addition, small-sized works Orchid, Like An Orchid But Not Really are well-loved by European collectors, who are willing to see the studio exhibition in order to get an unusual view. 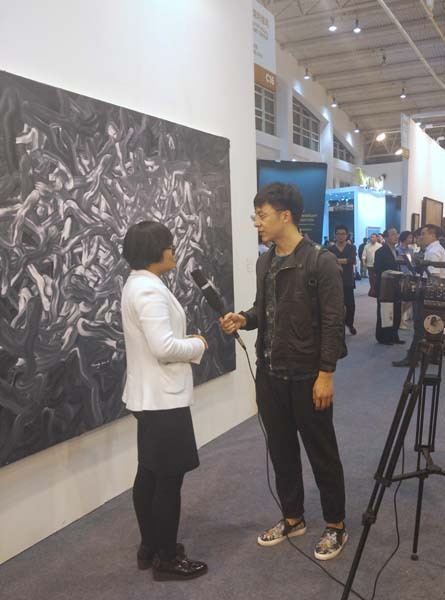 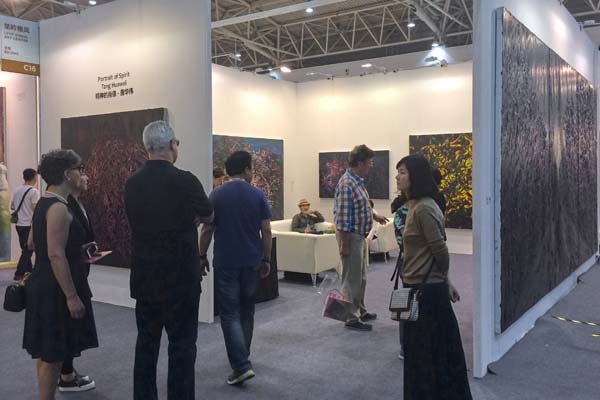 The exhibition made a great success and its good response is the best return for Tang Huawei ,who is such a pure artist and pursuiting art for many years.As the Chinese contemporary art curator Gu Zhenqing says:"If being launched in western countries, his paintings would change westerners’ impression to contemporary Chinese artists, and regain their attention to Chinese art."